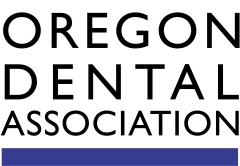 Looking For A Great Dentist In Grants Pass Oregon? Dr. Sara Riechers named her practice Compassionate Dentistry because that is what we are all about, compassion for our dental patients. We know that patients who come to visit us might be in pain or feeling anxious. Our staff of dental professionals want to do everything they can to relieve such distress, or even better, to prevent it from happening. Every dental patient is special to us; each has different needs, distinctive feelings and emotions, and a unique dental and medical history. We know that past visits with dentists may have created feelings of stress or even fear. We are here to alleviate those feelings by creating the most relaxed, comfortable, informative and fun dental visit possible for each patient. What this means is that we create a foundation of trust and mutual understanding between patient and doctor. This takes time and commitment. To be truly compassionate with patients, a dentist needs to spend as much time with them as is needed and listen carefully to their concerns while in turn providing care and comfort through education and during treatment. What can you and your family expect during a visit Dr. Riechers’ dental office? Taking the time to talk about what the patient is experiencing and feeling with his or her mouth, teeth, gums and jaws and how that relates to overall health and well-being. Taking the time to talk about what is going to happen during the visit. Answering every question the patient may have. Explaining the different tools and what they do and why they are important when needed. Discussing a variety of treatment options if problems are found. In other words, Compassionate Dentistry is about spending as much time as necessary with patients so that they feel comfortable, relaxed, educated and empowered. “Dr. Sara is the perfect dentist for the timid (or terrified!). She’ll make it easy for you to overcome your fear of dentistry!” See more testimonials. Dr. Riechers is focused on providing the best quality of care that is available for every single patient. 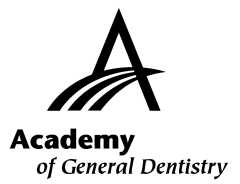 Her dental practice is founded on the creation of lasting and meaningful relationships with her patients and being an active member of her community. With so many great dentists in Grants Pass and Southern Oregon, choosing the right one for you and your family can be a challenging task, but we hope to make it an easy decision. 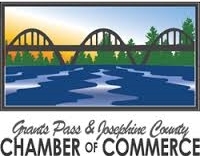 The good news is that your search for a Grants Pass dentist has led you here. We think you’ll be glad it did. 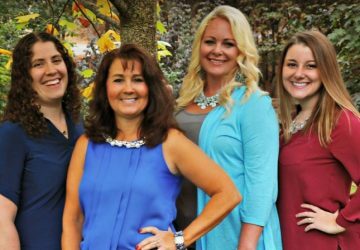 If you are looking for a gentle, compassionate and personable dentist in Grants Pass, Dr. Sara Riechers is the dentist for you and your entire family. New patients can get 50% off exams and x-rays at the initial visit. Just say you read about it on our website. Call us today at 541-956-2177 or visit us today at 130 NW D Street, Grants Pass OR 97526. Had an estimate from another dentist in town to fill a cavity at the base of a crown $1000. Was charged $153 at Dr. Riechers’s. Yes, $153 (no missing zeroes). Was $170, but with cash/check discount was $153. Kirsten and Sarah are awesome employees. Glad to move my family to Dr. Sara Riechers!!! !